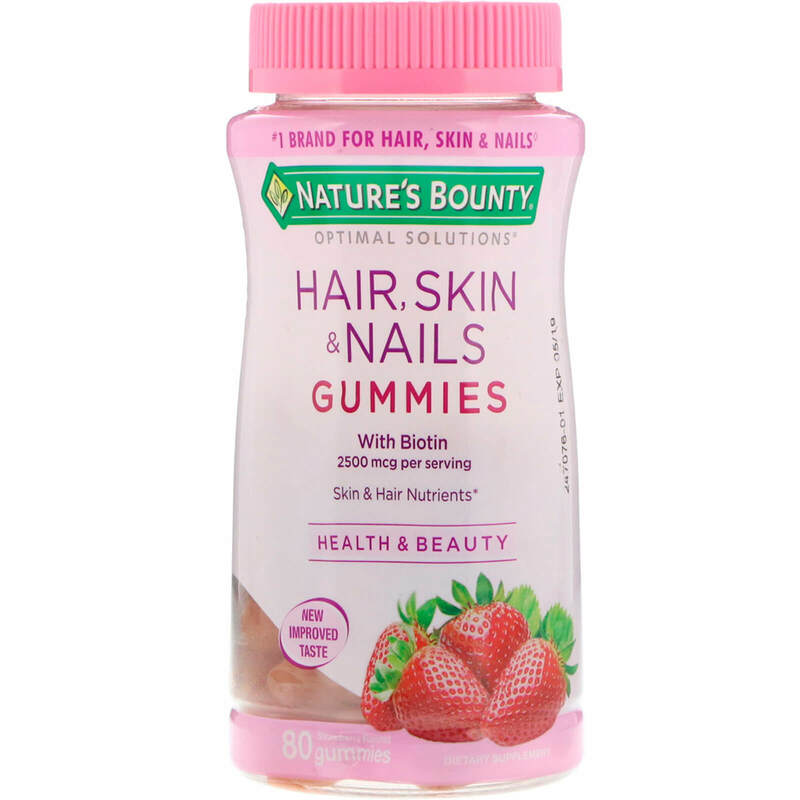 At Nature's Bounty, we believe health and beauty go hand in hand. With nearly 50 years of making quality vitamins and more than 20 years in the beauty business, you can trust that every Nature's Bounty product is backed by science, and made with the purest ingredients...guaranteed. Beauty Starts on the inside. ^Source: Nielsen xAOC 52 weeks ending 10/22/16. Sugar, corn syrup, dicalcium phosphate, gelatin. 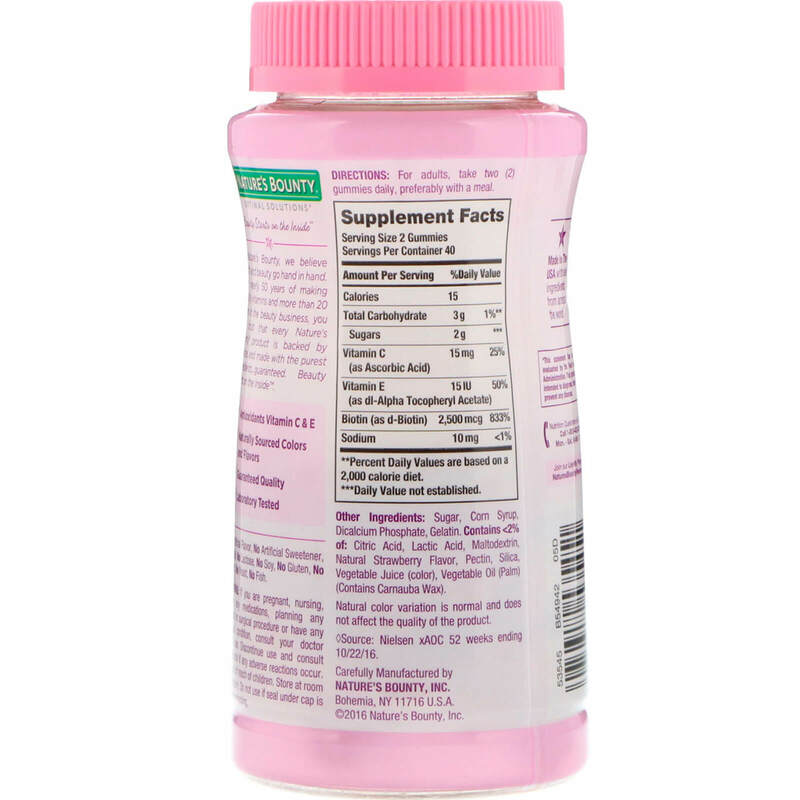 Contains < 2% of: Citric acid, lactic acid, maltodextrin, natural strawberry flavor, pectin, silica, vegetable juice (color), vegetable oil (palm) (contains carnauba wax).